As senior vice president of treasury, Michael Odlum oversees the administration of asset allocation and investment strategies for Northwell Health’s operating, pension and endowment funds. He also leads the treasury group, whose additional key functions include commercial bank account cash management and controls, bank lending, credit card processing oversight and energy cost hedging. Mr. Odlum joined Northwell in 2011 as vice president of treasury and has more than 40 years of experience in investment management. 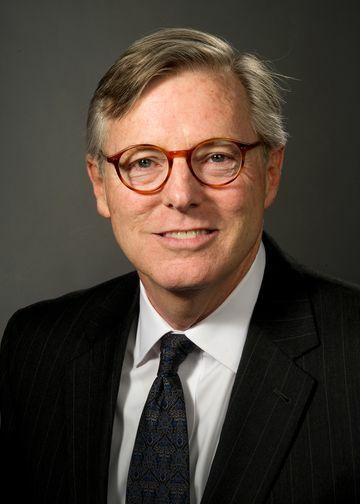 Previously, he held several investment leadership positions, including director of asset management for the Archdiocese of New York, president and chief investment officer at Security Global Investors, and president and chief operating officer of Allied Investment Advisors, Inc. Each firm managed over $10 billion in equity and fixed income assets for proprietary mutual fund families and institutional accounts. Mr. Odlum also was a principal with The Vanguard Group, where he led Vanguard’s Personal Advisory Service for high net worth and institutional investors and managed Vanguard’s Stable Value Investment Group. Mr. Odlum holds an MBA in Finance from the Wharton School of Finance at the University of Pennsylvania and a bachelor’s degree in history from Princeton University. He received his Chartered Financial Analyst (CFA) designation in 1983.